Mooi Bly Wine Estate is situated at the foot of the mountains between Paarl and Wellington less than 1 hours drive from Cape Town. The farm has 5 self catering cottages named after wines made on Mooi Bly; Merlot, Pinotage, Shiraz, Chenin and Chardonnay. 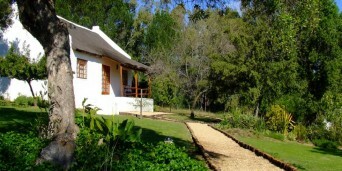 Each cottage is all fully equipped to ensure your stay at Mooi Bly to be as comfortable as possible. Guests can relax on the porch of their private cottage and watch the sunset turn the mountains purple and pink while having a true South African “braai” and cooling off in the pool situated close to all cottages. For the animal lovers there are over 70 recorded birds species to be seen on Mooi Bly. 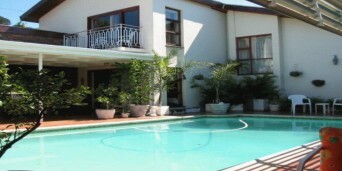 Guest can take a walk through the vineyards or take the short drive into Paarl to do some shopping, walk around the historic town or explore the “Taal Monument”. 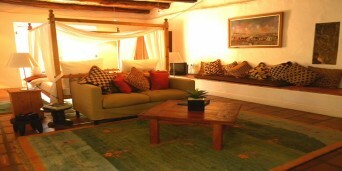 Mooi Bly is all about family life this is also what every guest will experience – a big smile and warm welcome.